HEVISIKE RECORDS have announced two new releases for the label this November. The Birmingham, UK, based purveyors of all things stoner, psychedelic, doom and everything in between are gearing up for releases by WIRED MIND and PALM DESERT. Hailing from Hannover, WIRED MIND fuzz up their own blend of trippy psychedelia on their debut album mindstate:dreamscape. 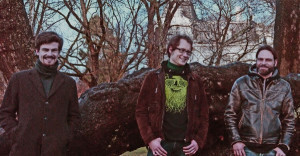 mindstate:dreamscape will satisfy both the fan of classic rock and modern European psych. Combining clear influences from 70s legends such as Amon Düül II, Grand Funk Railroad and Black Sabbath but with a modern twist. Nods to Colour Haze, The Machine and Samsara Blues Experiment are evident. Originally self released earlier this year, HEVISIKE RECORDS will be giving the album the much-needed vinyl treatment including new mastering and high quality packaging. The record will be pressed on limited edition colour vinyl and will be available worldwide. Originally self-released as an EP on CD in 2013 as Adayoff, the Wrocław rockers have recorded four new songs for the already riff-filled opus. Building on an already impressive discography including 2010’s Falls of The Wastelands and 2013’s Rotten Village Sessions the new release is set to satisfy the demand for more groove-laden heavy rock, complemented by the boundary redefining experimentalism of their 2014 masterpiece Pearls From The Muddy Hollow. PALM DESERT’s sound explores familiar territory; the influence of contemporaries such as KYUSS, FU MANCHU and MONDO GENERATOR is undeniable yet the band add a unique flavour which sets them apart from the crowd. The depth to the lyrical content alone shows that this band is not merely your average beer guzzling, weed smoking garage rock band. Adayoff + 4 Songs takes the listener on a journey; the ten songs tell a story through the perspective of a four-piece band fulfilling their dream, regularly performing to an ever-growing legion of fans whilst dealing with the day to day trials and tribulations of life in a large Western Polish city. The angsty, riff-heavy anthems such as album opener Leave Me Alone are balanced with the beautifully gentle and reflective odes such as Rise Above: Root Version.